Well I’ve gone and done it! Made the best gluten free Oatmeal Cookie – ever. The thing is, I wasn’t really trying for a best in the baking department, I was trying to use up some of the 20 or so half bags of flour I have accumulated, I swear they procreate in the dark of my pantry. I used the recipe on the lid of the regular Quaker Oats container, just as a template, because that was my all time favorite cookie recipe before having to go gluten free, not sure why it is lurking in the pantry still, but now glad that it was. 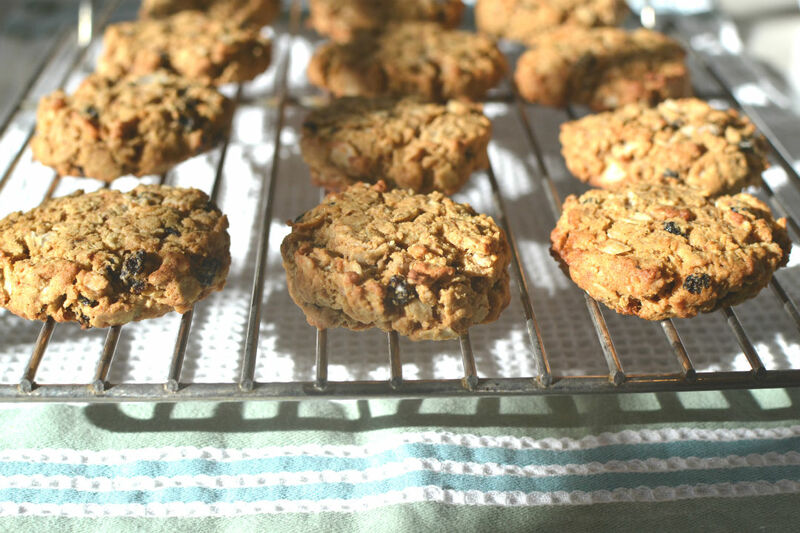 These would be fabulous as a breakfast cookie, loaded with oats, currants, coconut flour and coconut flakes for extra protein, and not too much added sugar. I was thinking that freezing a few would be a great idea, that way the next time I had an early morning flight I could just pop one in my handbag for fuel later. However, I didn’t get the chance, they are all gone. Beat together the butter and sugars until creamy, about 5 minutes. Add eggs one at a time, then vanilla until well blended. In another bowl combine flours, gf oats, coconut flakes, baking soda, cinnamon and salt. Mix both together, then add the currants and mix until no traces of flour remain. Batter will be a bit dry and stiff, no worries. Drop by rounded teaspoons onto un-greased cookie sheet and bake 10-12 minutes or until golden brown. Cool for about 1 minute then remove to wire rack to cool completely. Bake 30-35 minutes in un-greased 13" x 9" pan.